Looking for places to eat during the tournament? 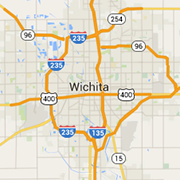 Wichita is home to many great restaurants from fine dining to fast food, you'll feed your appetite here. Wine Bar and Restaurant Located in the College Hill area, providing Wichita with delicious food and a selection of over 450 wines.